Music is such an important part of Advent and Christmas. Can you imagine Advent without "O Come, O Come, Emmanuel"? 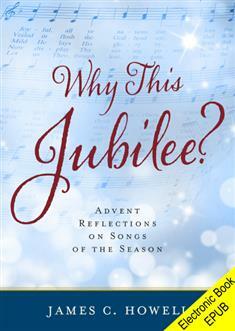 How about Christmas without carols like "O Little Town of Bethlehem," "Silent Night," and "Joy to the World"? It pleases the Lord Jesus when we sing of his coming with carols we know by heart. It pleases him even more when we think about the words we are singing. In 24 reflections on well-known carols and Christmas songs, James Howell explores the birth of Jesus. He ponders the meaning of certain phrases from these songs and relates them to our daily lives. A guide for weekly discussion is included. Join Howell in this rich remembrance for the Advent and Christmas seasons.